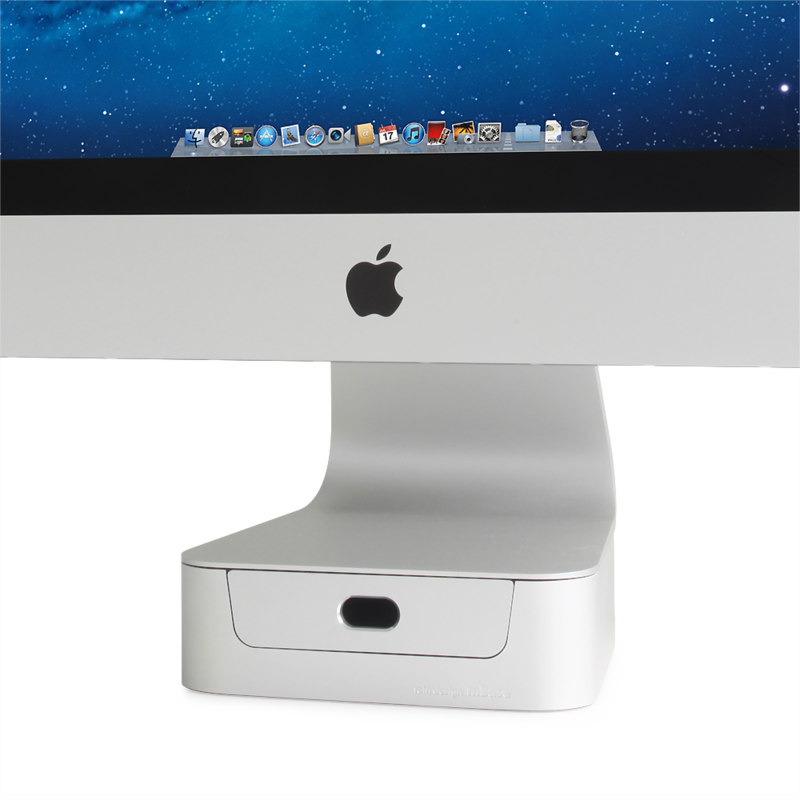 Elevate your iMac. 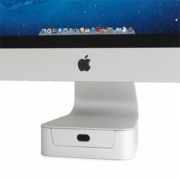 mBase minimalistic stand sits discreetly under your iMac and raises the screen so you can work more comfortably. 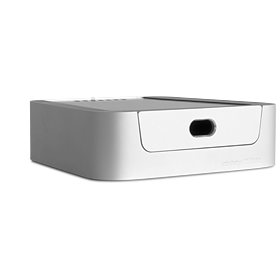 Its integrated drawer stores away your gadgets neatly and keeps your desk tidy.